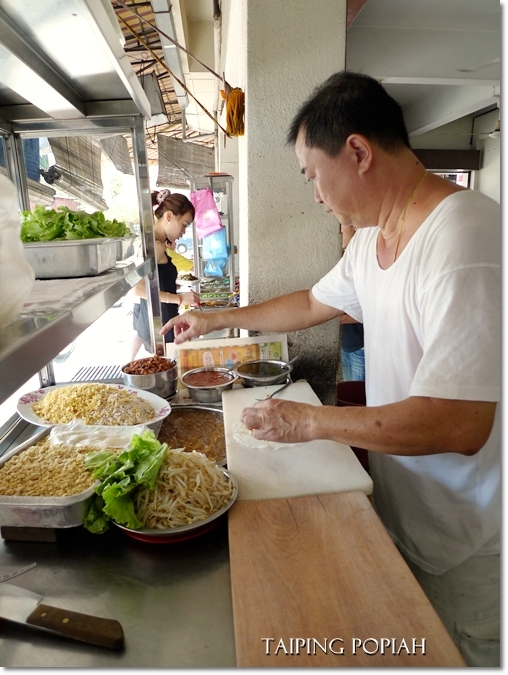 Taiping Signature Popiah Stall @ Restoran Air Kacang Taiping – Over 40 years of history, and the locals still swear by the fresh popiah he makes. Since we started on Aulong Heo Pia (flaky and crispy fragrant biscuits) in the last post, let’s see what other delectable hawker fares Taiping has to offer. Taiping for the uninitiated, is a town to the north of Perak (about 70 kilometres away, and accessible using the North-South Expressway) and famous for the Lake Gardens, Taiping Zoo (both daytime, and the Night Safari), Bukit Larut aka Maxwell Hill and the heaviest annual rainfall in Malaysia; hence the Wettest Town in Malaysia moniker. 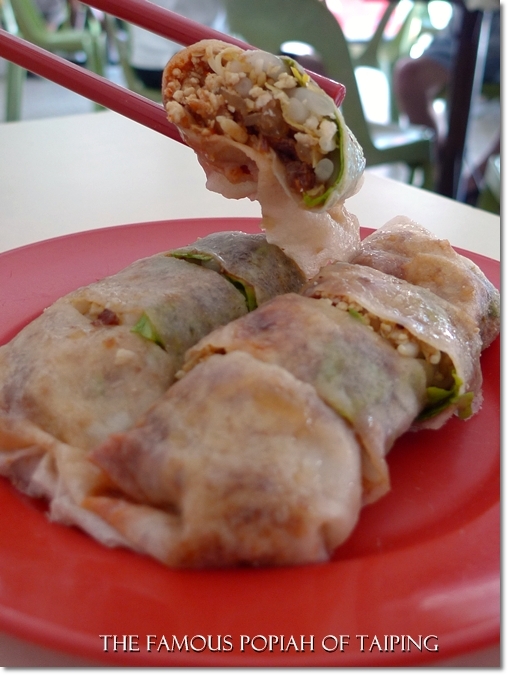 A roll of fresh popiah at RM1.40/USD0.40; the rolls are comparably smaller, but wetter than Ipoh’s version. 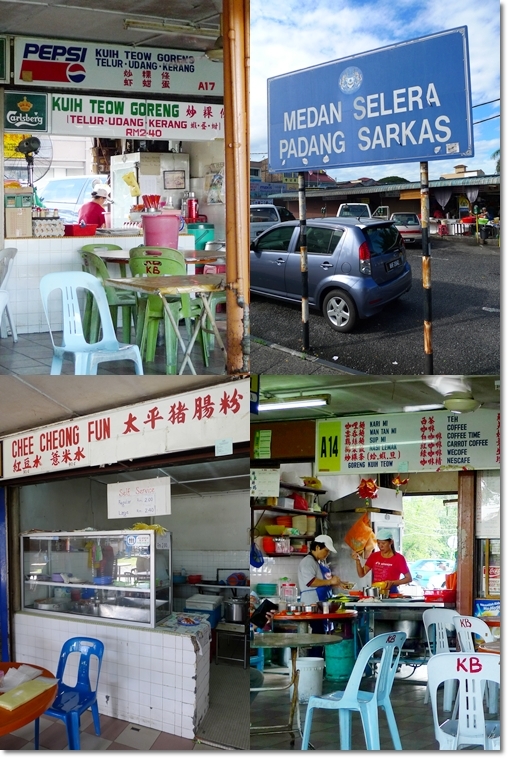 Being the second biggest town in Perak, Taiping is populated by good eats lefts and rights. The sizeable Chinese community (conversing in a smattering mix of Mandarin-Hokkien and some Cantonese) and the generally well-preserved quaint environment (pre-colonial buildings still reign supreme, and no skyliners … yet?) 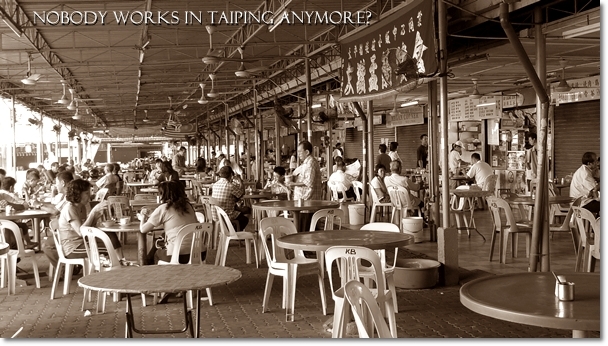 make Taiping an ideal place for street food hunt and shutterbugs to gather for some shooting sessions. The tranquil scene at the Lake Gardens for instance, is a sight to behold. Century old rainforest trees hovering over the pristine waters, tipping the surface with their branches and forming a canopy-like foliage of greens. A haven for the joggers, walkers, and tourists. Bean sprouts, lettuce, taukua (beancurd), yambean and shredded omelette wrapped in a popiah skin brushed with a mixture of chili and sweet sauce. Anyway, thankfully things started to pick up steam these past few weeks. I stomp on Taiping’s ground for more than a few occasions, the latest being the Aulong Heo Pia ‘treasure hunt’ and earlier this week when we had the Taiping Chee Cheong Fun for the first time (though technically speaking, I had a plate at Larut Matang Food Court way back in 2008). This famous popiah stall is parked at Restoran Air Kacang Taiping, the term ‘air kacang‘ refers to the restaurant’s popular soybean milk drinks and soybean curd (tau fu fah) which they sadly ran out of by 11.30am+. 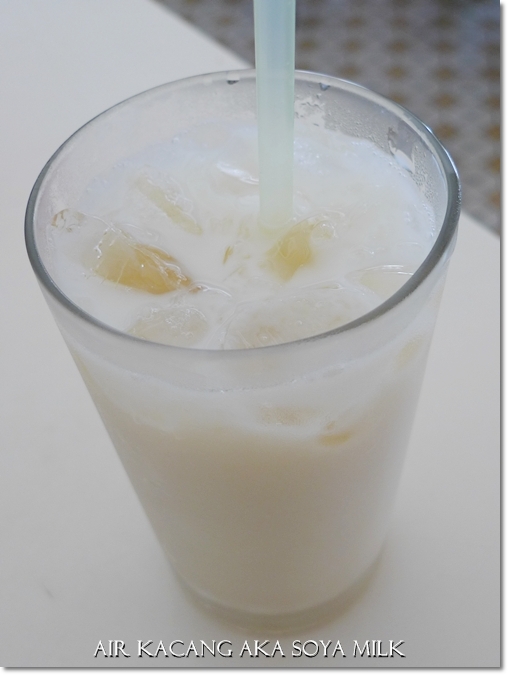 The soybean milk was sadly a little diluted, so highly recommended to have yours without the ice. Or if you’re keen on having a mixture of black and white (or the Michael Jackson, as some witty outlets already picked up this name for the beverage) – adding grass jelly or ‘cincau’ into the soybean milk, then feel free to request. TWO signboards instead of one. If you blink and miss, or too blind to see them … then tough luck. I won’t rave and rant about the popiah here though, for I found them to be on the soggy side just like Penang’s version of the popiah. Maybe I have grown accustomed to Ipoh’s version, especially Kong Heng‘s in old town of Ipoh where the popiah is dry but still pack some juicy strips of julienned yambean and bean sprouts. 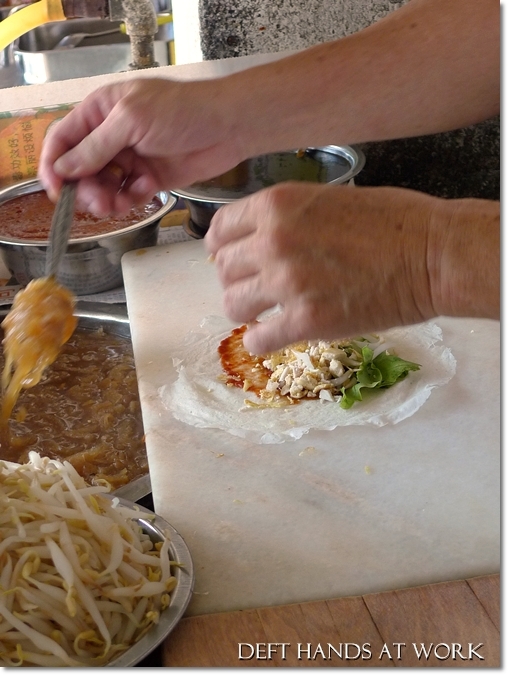 Unlike Kong Heng’s version, the sauce is spread on the inside of the wrapping skin; a soft almost threatening-to-puncture layer of fresh popiah skin made from flour, salt and water. The shop also houses a chicken rice stall, and a rather bustling economy rice stall with an impressive array of cooked dishes. A hop and a skip away (okay, maybe a few streets apart … but Taiping town’s not THAT big but rather; easy to get confused by the many crossroads, one-way streets, and almost similar structures) is this Pusat Penjaja Taiping, a food court with many hawker stalls within. A very recent excursion to Taiping found us going back to town centre for breakfast, but the plethora of choices got us psyched. And ended up at this uncharted territory (for me at least) of Pusat Penjaja Taiping behind of the fire station of Taiping. Okay, so I was here before for lunch at a random Malay stall, but that was not a food hunt nor MY pick in every sense of the word. Taiping Chee Cheong Fun sounds fabulous for breakfast, hence we decided to stop by for a closer look at what the other stalls were selling and a rather large crowd of locals were having that morning. 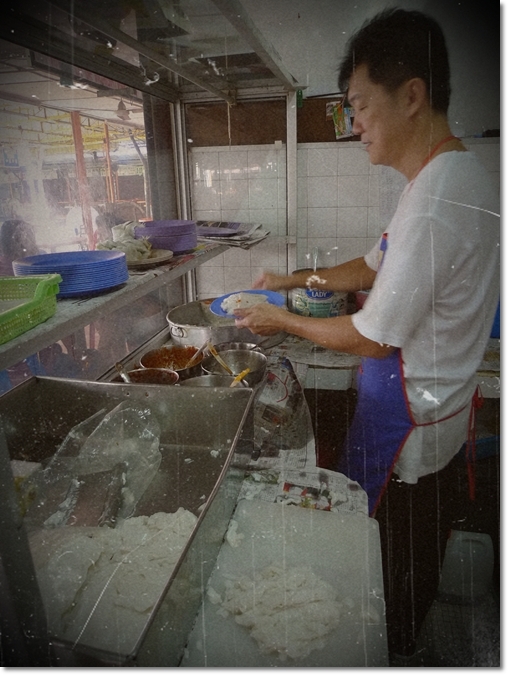 The man behind the brand; Taiping Chee Cheong Fun @ Pusat Penjaja Taiping – His stall is sandwiched amidst a row of stalls that do not operate during the earlier hours of the day. Initially we thought the Chee Cheong Fun stall was closed that morning. No sight of the stall where the crowd were ravishingly lapping up their wantan mee, slurping their coffee and tearing their pieces of roti canai apart. Luckily the aunty from the beverage stall pointed us to the exact opposite direction, over the piece of grassy land in the middle. Self-service is practised here, for you can’t expect the man who runs his stall alone to hop all over the rectangular-shaped food centre and earn a meagre sum of RM2.00/USD0.60 per plate of CCF. Doused liberally with the sweet sauce (tim cheong), sprinkled with lots of sesame seeds and fried shallots, I had the rolls of steamed rice noodles with chunks of yam cake (wu tau kou) for some interesting clash of texture and flavours. The perennial favourite of many; Taiping Chee Cheong Fun. 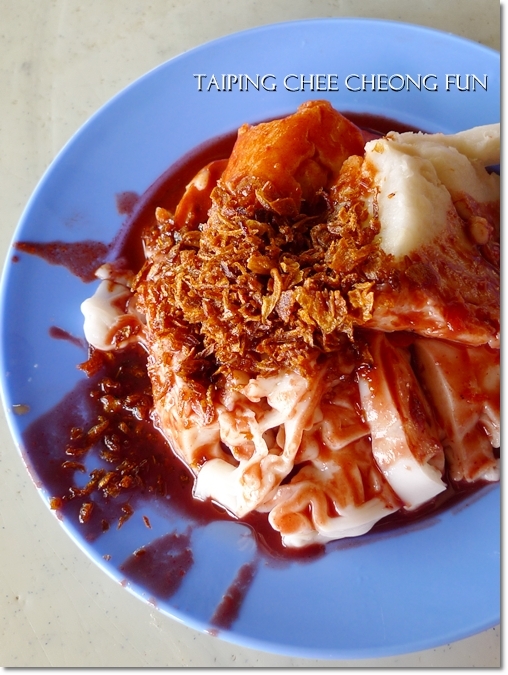 Do tell where you think serves the BEST Chee Cheong Fun in Taiping, okay? A plate of Char Kuey Teow for only RM2.40/USD0.70 – Redolent with wok hei, slightly wetter than the Penang’s version, and no fishballs in this one. The Wantan Mee Stall (No A14) (same management with the stall serving beverages) seemed to be doing brisk business, with most tables ordering at least one plate of their wriggly egg noodles tossed in a dark sauce, then served with slices of red char siew and a bowl of dumplings (wantan) in clear broth. But NK chose the designated Kuih Teow Goreng Stall (No A17) and ended up smacking his lips over the slightly spicy fried noodles, with crunchy bean sprouts, chopped chives, eggs, shrimps, etc. I had the roti canai on the other hand, a fluffy piece of Indian flatbread that was still crisp from the grilling, and thankfully not greasy at all. A little cold, yes. But maybe that was because the roti arrived while I was over the ‘field’ ordering the Chee Cheong Fun. The food court was continuously packed with the breakfast crowd, taking their sweet time mingling with each other and devouring the many hawker delights from the stalls. I have tried Kum Loong Dim Sum. I have gone for Chicken Kuey Teow Soup from Kakak, and roti canai from ‘octogenarian’ Bismillah. And I have eaten a variety of hawker fares for breakfast at the Larut Matang Food Court. What else should I go for, when I am in Taiping or Kamunting for breakfast, people? Opens from 7am until 4pm. Junction of Jalan Maharajalela and Jalan Tupai. Thanks Hudson. Pokok Assam mee rebus then. Got location, landmark or better yet, the coordinates? I seldom go to Taiping after evening, unless I choose to stay over night. Anyway, noted this one down. Will compile a Readers’ Recommendations List soon. Just find the Pokok Assam market and you will find lots of food there in the morning , evening and even at night . Oh yeah, I think I have a rough idea on where this is ….. thanks Hudson. There’s this restaurant in Pokok Assam that I have been itching to go for their salted chicken and assam fish or something. But I forgot the name. try the curry mee located next door to Hwang-DBS Securities at Station Road. Ang, the best curry mee is still in Kuala Sepetang. Have you tried? Curry mee in Sepetang? Hmmm … heard about this from a reader before. Nyonya style? Or really spicy, reddish curry? Jalan Stesen is the one passing by KTM Station right? Never noticed about a Hwang-DBS there. After the hospital or before? Okay, Andrew. Will take not of this. Though I doubt when can I find the time to travel up north again. A little sweet, with a sour-ish tinge. From the tim cheong. Not too sweet lah …. but you can ask for more chili sauce if you wanna reduce the sweetness and want some kick in your plate of CCF. 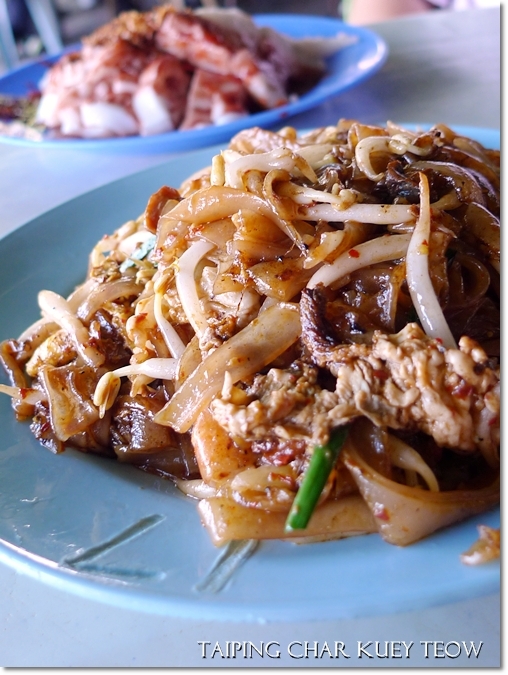 best char koew toew is in aulong………..
u can find the best wat tan hor and hokkien mee ……. the stall is number 11 inside aulong pasar….. Your photos keep getting BETTER and better … Droooooool! No hassle. Get yourself back to Malaysia during the CNY season, and drive away! THIS stall right? You should know better …. and of course, FBB as well since he’s from there. Throw me more food recommendations, minchow. I need them! wow… fav fan of popiah. Tastewise, not too shabby. A good combination of vegetables, eggs, and sauces. But I would have preferred my popiah to be on the dry side, so I can munch on the crunchy strips of yambean and cucumber. My ultimate comfort food … CCF… i miss the canning garden grumpy uncle’s version. My preference popiah is at Rexx. The rojak, curry & laksa there are ok. Night CCF at siang-malam is not bad. Then there is the aromatic 369 bakchang. And then the fried KT with duck egg situated near the Pokok Assam industrial area (use the Legend Hotel way). These are just a few. There are so many other good food in Taiping. Siang Malam opens only in the evenings huh? I passed by few times but did not see much action. Hehe, sorry Ciki. Only Malaccans wrap theirs with lard. As far as I know. The ccf looked very very delicious. Very traditional and original. Can’t get the same version here in KL. What about “Ah Lan Cheh Kai See Mee” aka Sister Ah Lan chicken kway teow soup at Restoran KaKak..
..forgot the street name. Also serve best stewed chicken feet! And last but not least Taiping famous Cendol ! another suggestion for breakfast in taiping – malay style nasi lemak @ pokok assam (next to the big field). Forgotten the road name, if u’re in pusat penjaja taiping, take d main road leading to pokok assam, u’ll find it on your left side. Oh …. Pokok Assam, is it Muhibbah? A shack in the middle of a junction right? I have been there before. Very famous yes, but not exactly to my liking. Maybe I did not take their famous dishes? @Hudson – Thank you so much. Aun Loke it is then. Salted chicken and assam fish sound lovely …. 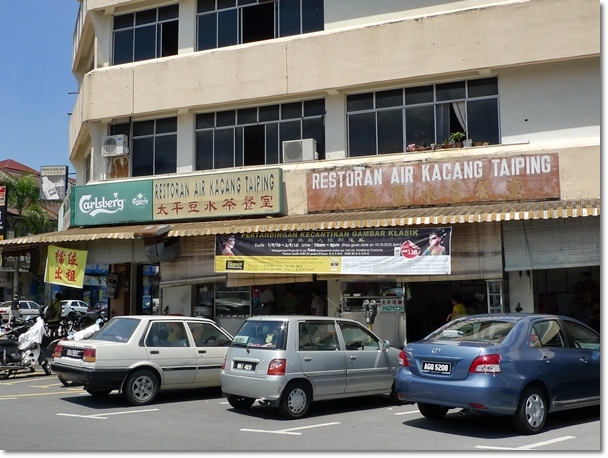 the Restoran Air Kacang Soya is one of my favourite shop to dine!! I love the chicken rice and popiah. There used to have prawn mee but it was closed already..The mee is vey popular, and was in newspaper before.. I see …. I thought of ordering the chicken rice, but the economy rice stall was doing brisk business! We were only there for some popiah and soybean milk. ..but it’s always packed for breakfast and it’s cheap too rm2 per plate..
Mee Kicap sounds like a good bet. The crossroad traffic light is the one at the mosque? Yes..if ur coming from taiping sentral … after the traffic light ..u just go straight ..on your ;eft u’ll see a row of shophouses..the mee kicap shop is directly opposite a stal selling fruits.. if urr using google map the shop is in the same row as khazis kota pharmacy.. Thanks anba. I know where the shop is already. I will note this down and list the recommendation down. Now you are talking about real food. Have to go back every year to sin myself. Or stuffed myself. lol. Enjoy my site also man. So recommended food there also. Sure won’t go hungry. I can understand how much you love your hometown, and craving for another bite back home. So how does the Taiping CCF compare with the Ipoh ones? Who reigns? 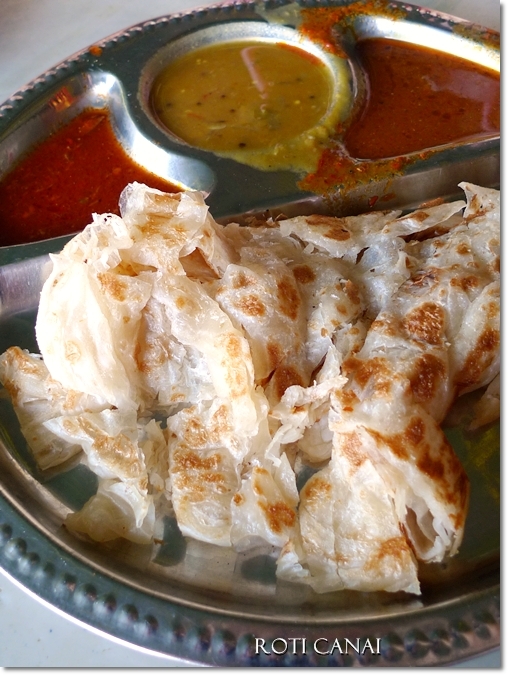 Have you tried ‘Roti Sayur’ from Yut Sun Restaurant? also the “Ang Tao Ka” – Ice Blended Red Bean drink from Raex , located nearby Popular book store. ah… hawker delights are the best…. though most would say unhygienic…. ya. the pokok assam ccf used to be in the middle, next to the hamchimpeng stall. nice. I would say, the rest of the stalls also have their specialties. People there are so lucky. lol. U should try d Chee Cheong fun at d stall opposite d taiping KFC, ‘Siang malam’. It’s Chee Cheong fun has lot of sesame seed, fried onion n yam. Really nice n it open in d evening only. Yup, heard of that one before. But rarely stayed a night in Taiping, usually did day trips only. But will certainly welcome another trip to Taiping when the opportunity comes. Yes the one you mentioned in Siang Malam is definitely better compared to the stall in Pusat Penjaja Sarkas which incidentally also lacks absolutely in service. Really makes me longing to come back for another visit! Too back, I am so far away!